The graduating Class of 1909 in caps and gowns stands on the quad. President Stetson also stands at the center of the group. Ladies Hall, the women’s residence, is visible in the background. The photo was probably taken early in the spring of 1909 because there are no leaves on the trees. 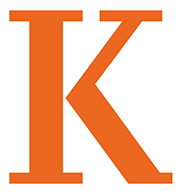 The Kalamazoo College Archives contains a broad range of materials on the 185-year history of Kalamazoo College, including administrative records, biographical files, publications, scrapbooks, photographs, and more. Located on the third floor of the Upjohn Library Commons, we welcome your visits, phone calls, and emails. Please schedule an appointment in advance of your visit to ensure that staff and materials are available.